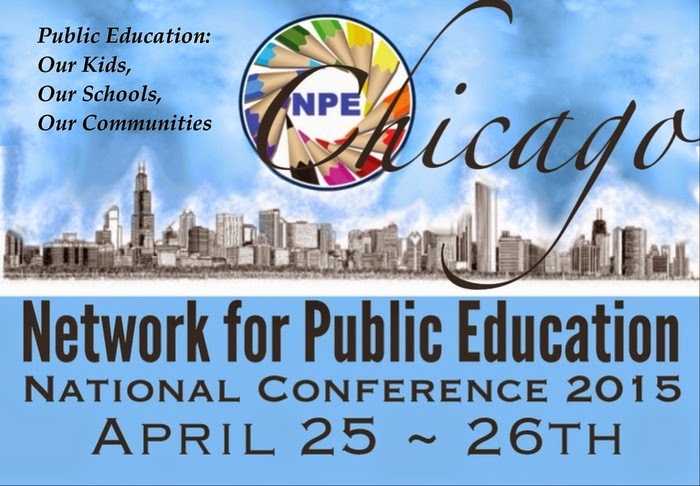 This weekend I will be in Chicago for the 2nd annual Network for Public Education Conference. I am honored to be among the speakers at the conference where I will be part of a panel discussion on teacher evaluation with teacher and Education Week blogger Nancy Flanagan and the legendary school leader Deb Meier. Here is what I will plan to say. Much of the rhetoric around education reform is built upon a false narrative of “bad teachers” who can’t be fired due to tenure and who are causing our education system to go to hell in a handbasket. Governor Andrew Cuomo is so convinced this is the case that he is doubling down on the wholly discredited value added measures (VAMs) approach to evaluating teachers based on student standardized test scores and on “outside evaluators” who will somehow catch all those “bad teachers” that building principles are apparently protecting. Cuomo and the other reformers have all this totally backwards, of course. A teacher evaluation system is not primarily a system for weeding out the bad, but a system for fostering the growth of the vast majority who are good and willing to get better. First and foremost an evaluation scheme must value the object of the evaluation – the teacher. A teacher, any teacher, represents an investment by a school district. That investment involves the cost of searching for and interviewing candidates, providing initial training for the neophyte teacher and providing ongoing professional development for that employee. But that value is more than just a financial value, there is also the value invested in that new teacher as a new member of the profession and as the caretaker of children. It is in everyone’s interest that the new teacher succeed. Once we see this teacher as a person and employee of value we take a wholly different approach to evaluation. Evaluation becomes a means for building the teacher’s value as a professional through a system that is inclusive, supportive and multi-faceted. It has often been said that teaching is one part science and one part art. I would add to that one part magic, the magic that I have often seen happen in classrooms when teachers and children make discoveries together. If teaching is indeed this very complex process, then surely, the evaluation of teaching is every bit as complex. The qualities of good teaching cannot be captured by a VAM number. While rubrics are a little better than VAMs, they also fail to capture the complexity. In order to truly evaluate the complexity of teaching, we need an evaluation plan that is just as complex. What we need is nuance, not numbers. I like to think of the task of the teacher evaluator as one of informed impressionism. Just as Monet created his impressionist masterpieces through the accumulative effect of thousands of brush strokes, so too must the teacher evaluator view the teacher through multiple lenses to do justice to the science, art and magic taking place in the classroom. This informed impressionism means that the evaluator has developed a trusting relationship with the teacher through informal conversations with the teacher and through multiple visits to the classroom that have resulted in useful feedback to the teacher. Evaluation that moves teaching forward depends on trust, first and foremost. What kind of trust can be built from a VAM score? Informed impressionism means many visits to the classroom, some short and informal, some long and formal. It requires looking at all the domains of instruction including planning, instruction, fostering a learning environment, meeting professional responsibilities, professional development and student learning indicators. Those student learning indicators might even include some standardized test scores, as long as they can be used to improve instruction, but they would also include student work samples, and teacher and school designed assessments. Like teaching, student learning is complex and it takes many and varied measures to get a clear picture of student learning. Obviously, this kind of evaluation takes time and money. It requires that administrators have the resources to be instructional leaders and not just building managers. It also means that they have the training required to be, not only skilled observers of instruction, but skilled communicators who can help their teachers develop and improve practice. For a truly effective model of teacher evaluation, one that will lead to improved instruction, teachers and school leaders must recognize that they are in the game together and they must be empowered to jointly customize, adapt and implement an evaluation design that works best for their school and for their students. And what about those “bad teachers”? A truly thorough evaluation system may help some that start out weak to improve, but for those who cannot improve, a thorough, collaborative evaluation system will expose the weaknesses much more clearly than any number from an invalid statistical formula or score on a rubric ever could. How Do You Spell Success (Academy)?